You already know h2hotel's Spoonbar restaurant in Healdsburg has one of the best cocktail programs in the North Bay. The competition, if not the drinks, will get stiffer when the restaurant hosts the GoldenSpoon Cocktail competition May 23 from 6:30pm to 8:30pm. 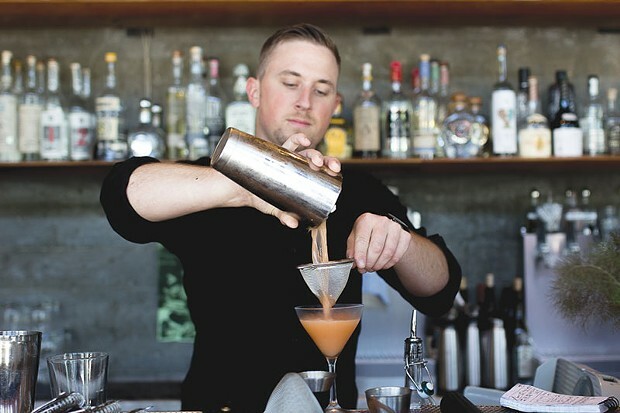 Spoonbar's new bar manager, Alec Vlastnik (pictured), will shake and stir along with some of the North Bay's top mixologists. They'll be vying for cash and prizes as they make drinks with Botanist gin. A panel of three beverage-industry professionals will judge their creations. If you want in on the action, cocktail fans can taste the competitors' drinks, as well as other Botanist cocktails, for $5 each all night. Remember to pace yourselves, people.